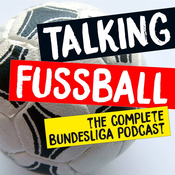 Dieser englischsprachige Podcast handelt von der Bundesliga und bietet zweimal pro Woche eine neue Folge. Just five match days of Official Fantasy Bundesliga left - time to get as much value as you can from your team in the run in. This week JT and Flo talk you through how to maximize value from your backline...as well as how good they'd look as 80s footballers! Produced by Aidan Rantoul. No big drama at the top of the table this week...though BVB needed a major performance from Roman Bürki to keep their title bid on track. Matt speaks with Ronan Murphy of goal.com about the ongoing intrigue, as well as the clutch of coaches who will be moving on from their current clubs...while trying to lead them into Europe. Produced by Aidan Rantoul. So the latest Klassiker ended up with all the class on one side. Bayern took the lead back from Dortmund...but is the title settled? And are Dortmund alone in feeling a bit sick after the weekend's events? 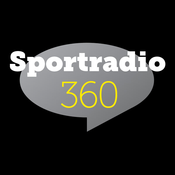 Matt rounds up Aidan Reagh to talk that over, as well as figure out whether Gladbach have done the right thing by telling Dieter Hecking to take a hike, whether Pal Dardai and Manuel Baum will be sticking around next season, and more. Produced by Aidan Rantoul. 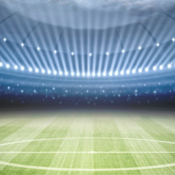 TF Fantasy MD28 tips - Is der Klassiker a game you want to play in? All eyes are on the Bundesliga's glamour fixture - the table-topping Bayern-Dortmund clash - but there are plenty of other fixtures that might be tastier for the fantasy manager. JT and Flo check in to give you all the best info ahead of Match Day 28. Produced by Aidan Rantoul.